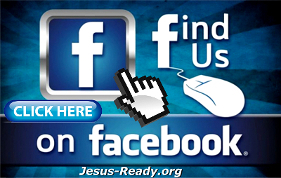 As we approach the second coming of our Lord Jesus for his bride, we begin to see the deceptive devices and inner workings of Satan the prince of lies and his hoard of demons, in a very invasive way. Prophetically we know that the coming world leader, better known as "The Anti-Christ" or "the beast", will come in timely fashion to inherit the already man-established system of the One World Order. An intricate part of this system will be the establishment of a "One World Religion" which will be birthed under a false desire for unity, peace and inclusion of all faiths. These, of course, are the workings of the enemy of the soul, Satan himself. Two decades in the making and now quickly taking notice at the forefront and backed by many well-known apostate church leaders and pastors is "Chrislam". Chrislam is the attempt to intermingle Christian and Islamic principles in efforts to find common ground in what is arguably the two most contradictory faiths in the world. We see scripture materialize before our very eyes in passages such as 2 Timothy 4:3 "For a time is coming when people will no longer listen to sound and wholesome teaching. They will follow their own desires and will look for teachers who will tell them whatever their itching ears want to hear." Exposing Chrislam - Why We Can't Coexist With People Who Want to Kill Us!!! 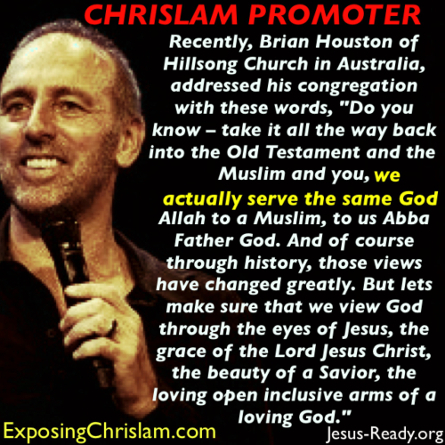 Meaga church pastor of the popular Hillsong Chruch group, Brian Houston addresses his congregation with the following statements: "Do you know – take it all the way back into the Old Testament and the Muslim and you, we actually serve the same God. Allah to a Muslim, to us Abba Father God. And of course through history, those views have changed greatly. But let's make sure that we view God through the eyes of Jesus, the grace of the Lord Jesus Christ, the beauty of a Savior, the loving open inclusive arms of a loving God. And that way we'll lead out of that and you'll be purposeful about your leadership and you'll draw people just like the Lord Jesus always does through the power of the Holy Spirit." 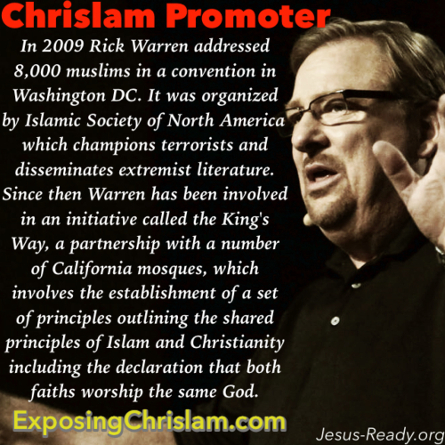 Rick Warren, Emergents and Muslims "Chrislam"
In "Chrislam Exposed" Pastor Shahram Hadian exposes the seductive lie of a common God between Christianity and Islam. He shares his journey of becoming a Christian, exposes the false teachings of "Chrislam," and uncovers Chrislam’s growing and devastating implementation into our churches and missions both in America and oversees.